Nashville Surgical Associates > Doctors > Jonathan Cohen, M.D. Dr. Cohen received his medical degree from New York University School of Medicine in 1994. He also holds a Bachelors Degree of Science in Psychobiology, which he obtained from the University of California in 1990. His General Surgery Residency was completed at North Shore University Hospital. He has volunteered at the UCLA Medical Center from 1985 to 1988 and spent time volunteering at the Tel-Hashomer Hospital in Israel as well as the NY School of Medicine, where he served as the Clinical Correlations Instructor. The Cornell University School of Medicine appointed him as Clinical Instructor from 1995 to 1996 and the New York School of Medicine appointed him Clinical Instructor of Surgery in 1996; he continued this position until his relocation to Nashville in 1999. 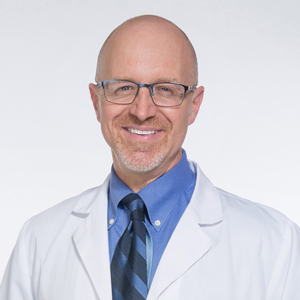 Upon arrival in Nashville, he completed his Fellowship in Laparoscopic Surgery at Vanderbilt University School of Medicine, and served as their Clinical Instructor of Surgery from 1999 until 2001. Dr Cohen is a member of the American Board of Surgery, a Fellow of the American College of Surgeons and a member of the Society of American Gastrointestinal Endoscopic Surgeons as well as the Nashville Surgical Society. He is also listed in the Best Doctors in America database which represents the top 5 percent of the nation’s practicing board-certified physicians.